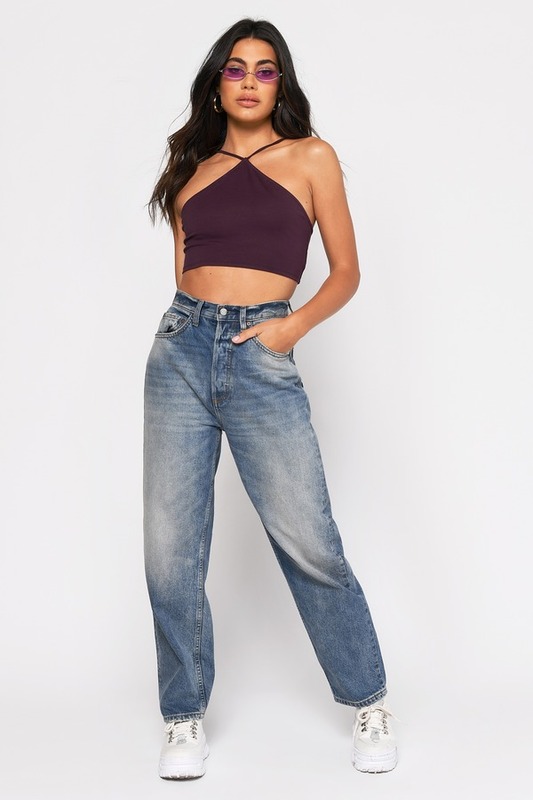 Check out Tobi's Careless Lace Up Crop Top Subtly stunt on everyone with the Careless Wine Crop Top! This cute top features a back lace up tie with a halter closure on an ultra-soft and stretchy rayon knit. Subtly stunt on everyone with the Careless Wine Crop Top! This cute top features a back lace up tie with a halter closure on an ultra-soft and stretchy rayon knit. 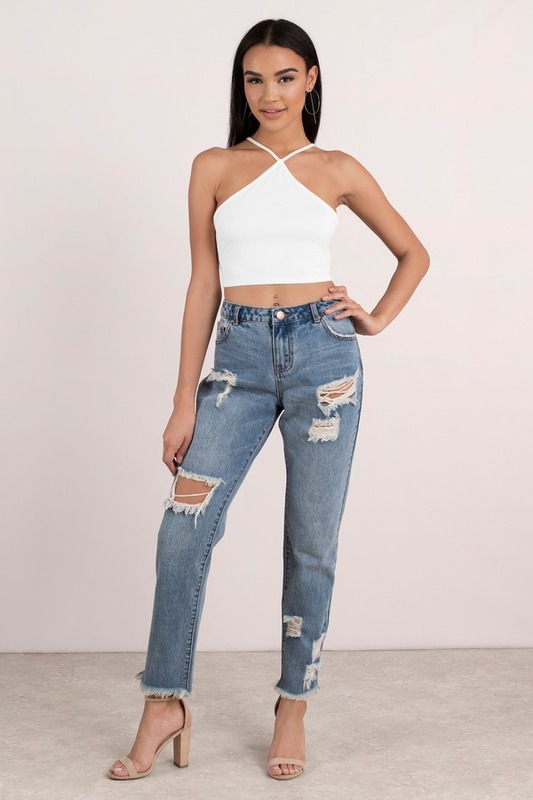 Subtly stunt on everyone with the Careless White Crop Top! This cute top features a back lace up tie with a halter closure on an ultra-soft and stretchy rayon knit. 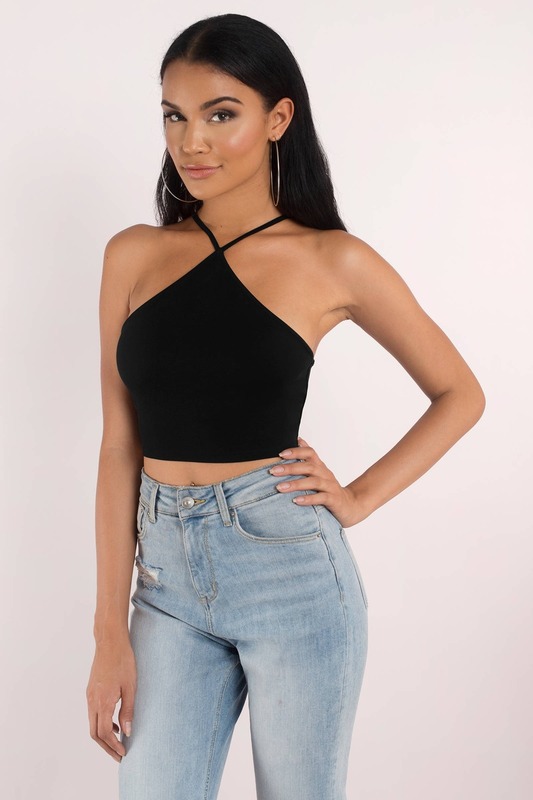 Subtly stunt on everyone with the Careless Black Crop Top! 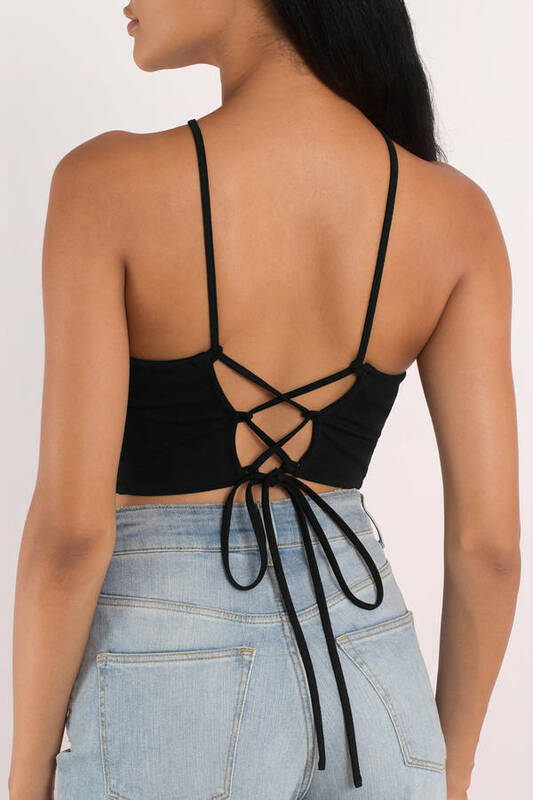 This cute top features a back lace up tie with a halter closure on an ultra-soft and stretchy rayon knit. Wine modeled on a size Medium.